6% Yield, Tenanted till May 2017, Close proximity to new rail line! This modern three bedroom townhouse located in a quiet complex backing onto sporting grounds and bushland would make the perfect investment or someone looking for a low maintenance lifestyle close to all amenities. There is an excellent tenant in place until May 2017 paying $347.50 per week maintaining the property like her own and guaranteeing you a stable investment. Open planned tiled living with high ceilings compliment the spacious kitchen with a breakfast bar, large pantry, ample bench space and quality stainless steel appliances including a dishwasher, gas cook top and oven. The living areas are air-conditioned and security screens throughout provide peace of mind. Downstairs also includes a laundry space, separate toilet and extra storage under the stairs. Upstairs you will find three carpeted bedrooms, with a large main bedroom with a private balcony looking out over the peaceful aspect. The main has its own ensuite and walk in robe. Ceiling fans throughout and built in wardrobes in the second and third bedroom. A modern main bathroom and separate toilet makes up the remainder of this lovely townhouse. Outside you will find a covered outdoor patio for entertaining, enough grassed backyard for the kids to play but low maintenance and water tanks. The property also has a single remote controlled lock up garage with extra space for storage. The complex has an on-site manager and swimming pool with undercover pavilion. 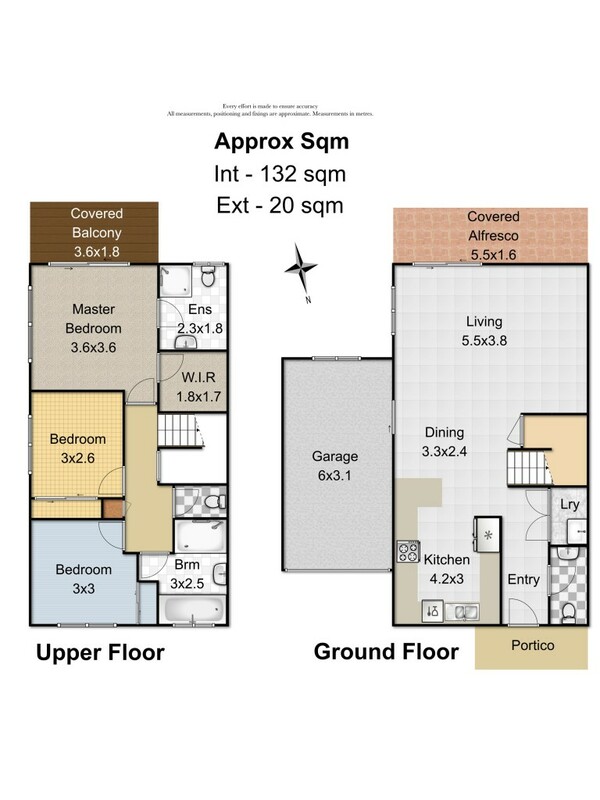 Located adjacent to Living Faith Lutheran Primary School and a short drive to Murrumba State Secondary College. Walking distance to the future Murrumba Downs train station and everything else you may need can be found within a short drive. Access to the main highways North and South within minutes. Excellent Investment Opportunity, Call Mathew now!